As a long time Trillian user, I noticed something interesting on the official Cerulean Studios blog last week. The company choose to try a new business model by turning their entire product line into free ad-supported software. Traditionally, Trillian came in two flavors: free and pro. Paid customers could enjoy a full set of features while others had to do with some limitations. It is a surprising move considering that Cerulean Studios never included ads for any user in the past. Features such as the activity history viewer is just one example of the many benefits that anyone can now enjoy. For those not familiar with Trillian, the client lets users chat on AIM, Windows Live, Yahoo! 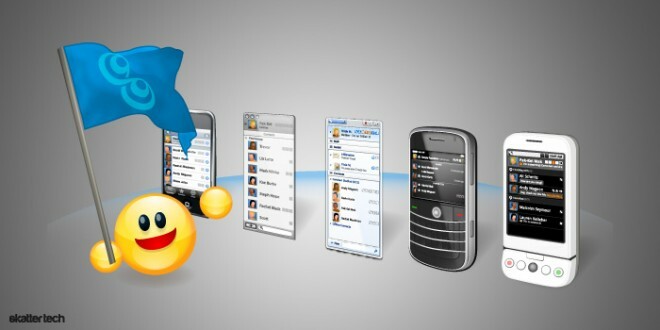 Messenger, Google Talk, Facebook Chat, Jabber, and Skype from just one application. It even includes integration for Foursquare, LinkedIn, and Twitter. While mobile apps generally ran customers extra, apps for Android and iOS will also become free. Fortunately, there is some good news for existing paid customers: all versions of the all-in-one chatting client will remain ad-free for them. Heavy users who do not want to deal with advertisements can also pay $12 a year for the same experience. The changes are not entirely playing to well with long-time users. I had a few friends complain about overly large ads being streamlined into conversation windows. Although Cerulean Studios claims to “have created beautiful ad units,” I doubt people will let it slide. I think that having a basic ad-free solution would be the best way to go. However it looks like the company was probably not making enough cash to support the large user base. It is an understandable move, but I am not so sure everyone will understand. I will probably have to switch to another chatting solution when my subscription, which is apparently “grandfathered in,” runs out. There are fortunately a ton of options out there, including open source ones, such as Pidgin. 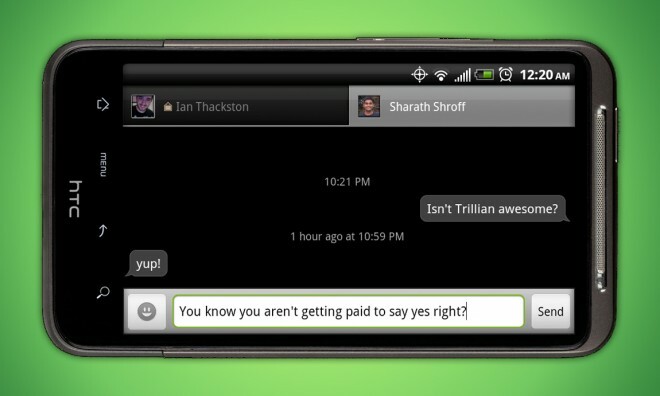 If you are a Trillian user, what are your thoughts? Are you okay with these changes? I have been a fan of Trillian since 2005 or so. I loved that it was free of ads and spyware, unlike the 5.x series of AIM. I moved between Trillian, Digsby, and Pidgin (then Gaim) for a while until settling on Trillian with the early v.5 betas. I loved the way the look integrated with Windows 7, making it feel like a native program. I liked the ability to change theme colors, but I wanted it to “follow Windows” in theme scheme anyway… so I didn’t mind other theme options striped from the free version. When I saw they were ads, I thought they would be on the Buddy List itself like old versions of MSN and AIM. Instead I saw the in-conversation ads and popup notification ads in the bottom right of my screen. I understand people need money to support these programs… STILL, the way the ads were implemented were, for me, too distracting. Currently I’m using Pidgin… but the UI is generally very ugly. Also, I miss the iChat-like chat bubbles in conversations. I know I can go back to Digsby… but their business practices seem fishy at times. I don’t know what I will do, ultimately. I really only need something that I can connect to Facebook Chat via jabber anyway… seeing as that is what people are bent on using. I’ve replaced with Digsby. With 1 minor hack/mod to make it sync chat logs over dropbox it seems to have all the things I need (except for skype chat support). I use Trillian for AIM, Facebook Chat, Google Talk, MSN, and Yahoo. Once my Trillian Pro subscription runs up, which I got on some discounted sale, I will probably stop using most of those services. I’m probably going to switch to using just Google Talk. I currently have Skype as well, but I am worried that Microsoft might destroy it after the recent acquisition.